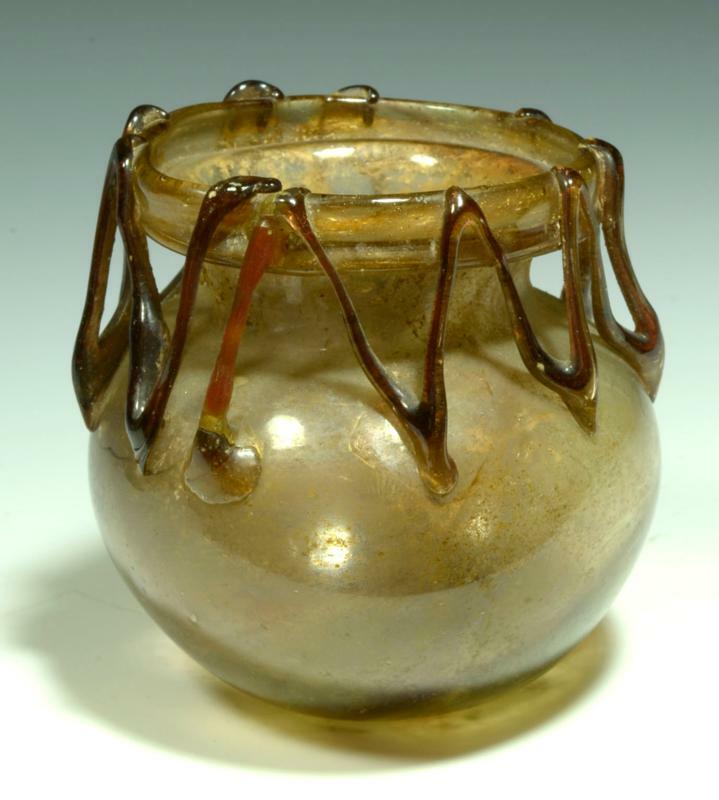 Rounded blown jar with flared rim and good color. Great applied zig-zag thread to rim and shoulder. Provenance: Ex. Slg. H.J.S.P., Hessen, acquired from 1960s to 1970s.